We combine nature and design and thus make urban spaces more livable. Create exceptional rooms with an atmosphere of well-being and the unique design of nature with NATURADOR® vertical gardens. 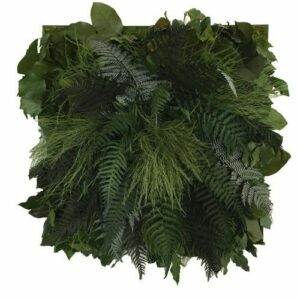 NATURADOR® vertical gardens are unique design objects made of gently and naturally preserved mosses and plants from sustainable origins. They do not require water, fertiliser or light and are hand made for you in a German manufactory. 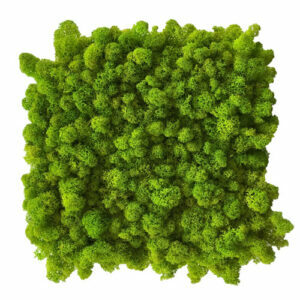 Feel the soft haptics of reindeer moss. 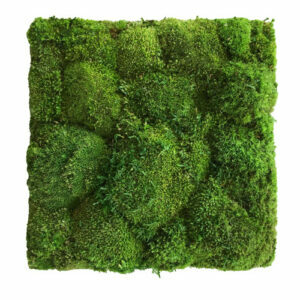 Breathe the tart scent of forest moss. 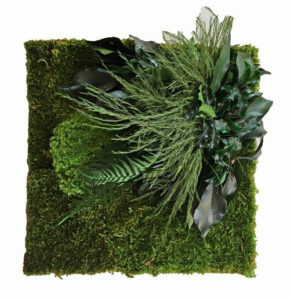 Enjoy the looks of fresh green pole moss islands on dark forest moss or lush jungle compositions of ferns eucalyptus and weeds..
Indulge in the beauty of nature in your rooms. Whether as natural and sustainable reference in the reception area of your company, calming background in your practice or studio, inspiring surroundings in the office, reviving element in public space or green oasis in your private rooms – let your inspiration flow. Create an attractive ambience that represents growth, naturalness and creativity in an aesthetic way. Reduce reverberations and sound and enjoy improved acoustics in your rooms.